CLICK HERE! Spend $119+ & Get A FREE Brick House 5 Pack! CLICK HERE! Spend $119+ & Get a FREE 5-Pack! Logging you in ... Please Wait. We're sorry, an item cannot be added to the cart that is already a bonus item in the cart. In Stock : This item is in stock, ready to ship. An oldie but a goodie, and it’s back to stay. 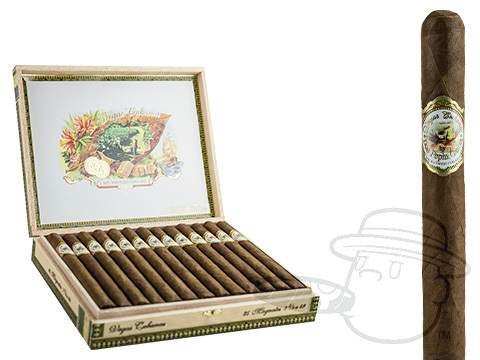 One of Don Pepin’s earliest successes, the Vegas Cubanas cigar has made a triumphant return to our shelves. Originally released in 2003, Vegas Cubanas retains its classic blend using a Corojo wrapper of undisclosed origin over binder and filler tobaccos from the Garcia family’s farms in Esteli and Jalapa, as well as its peppery-sweet taste and medium bodied profile that made it famous. Now available in a range of unique sizes, the vivacious Vegas Cubanas is deserving of a spot in any true Don Pepin fan’s humidor. Please sign in to leave a review. That’s what we’re here for. Get first crack at our greatest deals sent straight to your inbox. Didn’t get our latest catalog? You poor thing. Check it out here, and sign up for a free subscription so you won’t miss the next one! Copyright © 2019, Best Cigar Prices WARNING: Best Cigar Prices does not sell cigars or tobacco related products to anyone under the age of 21, nor do we sell cigarettes. You must be 21 to purchase tobacco products. Do not enter this website if you are not of the legal minimum age.